Green Olive Tours selected the location of the International YMCA of Jerusalem as a convenient central departure point for most of our tours. However our affiliation with the organization goes much deeper and reflects our endorsement of YMCA's philosophy of inclusiveness in this divided city. Every morning, while waiting for their tour to depart, our clients witness the Jewish, Christian, and Muslim children entering the kindergarten at the YMCA, one of the few mixed pre-schools in the country. Such sights send a message of hope for the future. In the following video YMCA CEO Forsan Hussein talks in depth about the foundational philosophy of the Jerusalem YMCA, and his personal journey. The YMCA has been active in Jerusalem since 1878 and its activities and programs across religious faiths date back to that era. The vision of Dr. Archibald Harte, General Secretary of the International YMCA in the 1920s, was to build on this legacy and create an institution to serve all the people of the Holy Land. New Jersey Millionaire James Jarvie donated 1 million dollars to help realize the dream. 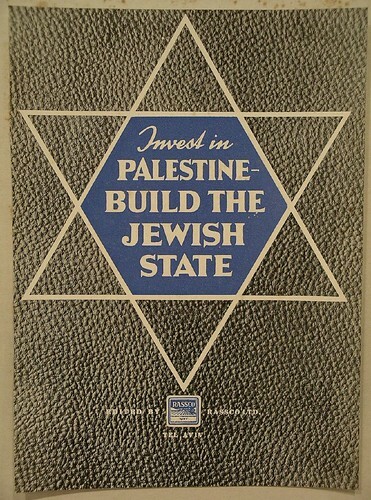 Since 1920 the organization has been operated by the YMCA of the USA and is known as the Jerusalem International YMCA. The cornerstone for the Jerusalem YMCA was laid in 1928 by Lord Plumer, and the building was opened in 1933 with YMCA leaders from around the world attending the event. The elegant building was designed by Arthur Louis Harmon who also designed the Empire State Building in New York. 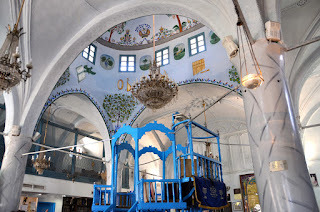 He created what was arguably the most modern building in Jerusalem at the time, with the latest modern facilities, including a gymnasium, and a heated swimming pool, which until the 1960s was the only pool in the city. The Jerusalem Symphony Orchestra made its first home at the YMCA. The building is full of symbolism. The 12 cypress trees in the front garden represent the disciples of Jesus, the Hebrew tribes, and Mohammad's followers. The 40 years that Moses and the Children of Israel trudged through the desert are represented by the 40 pillars in the front of the building. They are also symbolic of Jesus' 40 days of temptation. Each column is capped by a sculpted capital illustrating the flora and fauna of the bible. The Carillon tower sports a bas relief archangel designed by Bezalel artist Ze'ev Raban. A copy of the Madaba mosaic map is on the floor of the outer entrance. Over the front door there is an olive branch on the window. The window, with its symbol of peace, has been removed several times during war, in order to protect it. In 1948 a shell flew through the space where the window had been, however it did not explode. 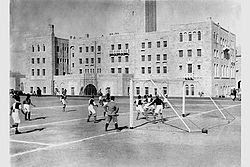 The adjacent YMCA stadium was also opened in 1933 and was the only football (soccer) stadium in Jerusalem until 1991. It was demolished in 2006 to make way for a new housing development. Today’s YMCA builds bridges across the divides of Jerusalem. The CEO, Forsan Hussein, himself a Palestinian/Israeli and a Muslim, leads a Christian institution in a Jewish country. The staff is mixed Christian, Jewish and Muslim – almost unique in Jerusalem. They leave the work of political resolutions to others, and focus on bringing together the diverse communities of Jerusalem to realize the humanity in each other. In addition to running a 4-star hotel, the YMCA conducts a number of programs aimed at the residents of Jerusalem. The hallmark of all of these activities is their outreach to the members of the different religious faiths. The pre-school has both Arab and Jewish teachers and children attend from across the demographic spectrum of Jerusalem. Both Hebrew and Arabic are used in classes. The holidays of the 3 monotheistic faiths are celebrated. An extension of the pre-school is the annual summer camp where a wide variety of children enjoy and learn in a cross-cultural environment. Leadership training programs are an integral part of the YMCA’s programming. Young Israelis and Palestinians are provided with tools and mentoring to effect positive social change. The YMCA has been a model of stability through all the conflict and wars that has raged around it, and has stayed true to its mission. In Hebrew: "The Lord our God, The Lord is One"
In Aramaic: "I am the Way"
In 1993 the Jerusalem International YMCA was nominated for the Nobel Peace Prize. The location of the YMCA can be seen on the map at this link.